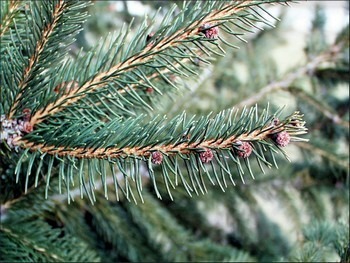 Fraser Fir: Soft to the touch with silver/green needles, well-spaced branches can hold heavier ornaments. 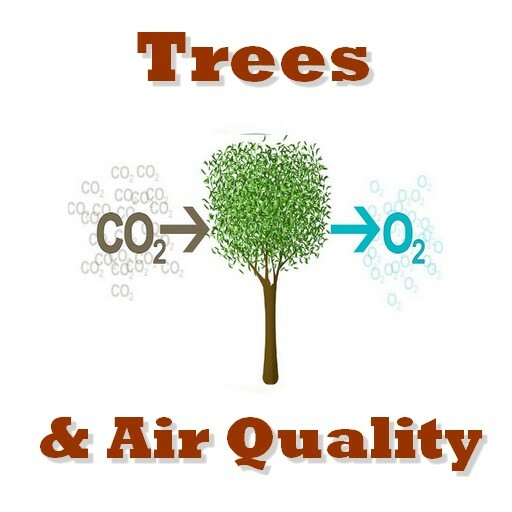 These trees usually grow to the prefect shape. 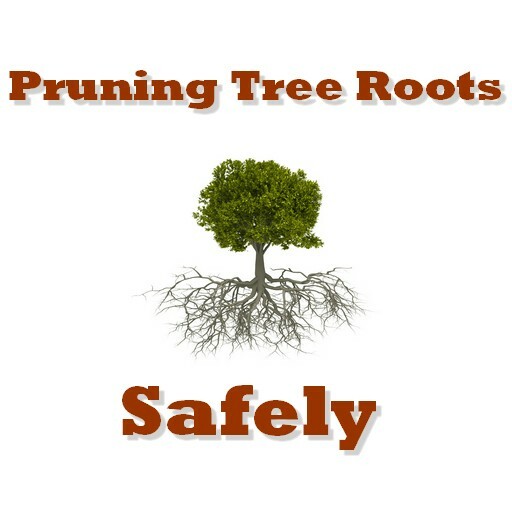 When watered regularly, this tree has minimal needle loss. 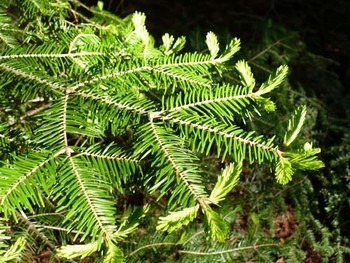 Noble Fir: Boughs of this tree are made into wreaths. The needles are deep green and the branches are sturdy. It also has well-spaced branches for easy decorating. Colorado Blue Spruce: Another tree with a good shape that can hold heavy ornaments. However this tree does have a bluish foliage that can appear silvery, and you need to be aware if this is not the look you were intending. 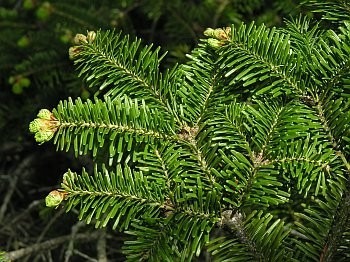 Balsam Fir: This tree is dark green in color and has feathery, flexible branches for lighter ornaments. It also has a pleasant fragrance. 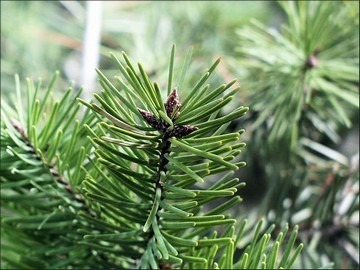 Douglas Fir: Has soft, shiny green needles with a sweet scent. Sometimes due to shearing for a conical shape, there is little room between branches for ornaments. 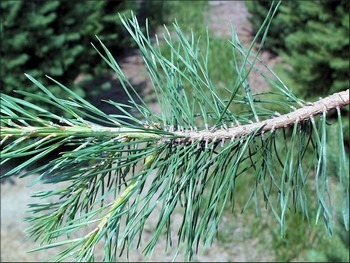 Shearing is used to improve the shape, taper and density of Christmas trees. 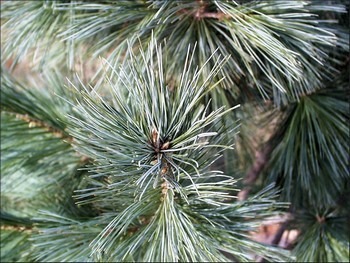 White Pine: As this tree has little scent, it is good for people with allergies. 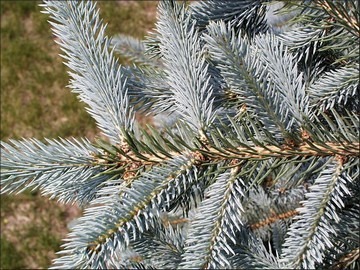 Needles are bluish-green, 5 inches long, soft and flexible. Branches are good for lightweight ornaments. Needle retention is fair. 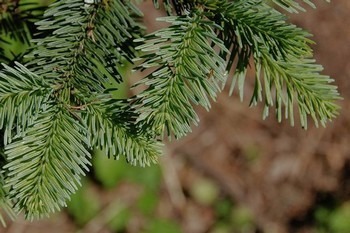 The Norway Spruce while a beautiful tree, it does not retain its needles well. Purchase right before Christmas, and even with proper watering, expect to dispose of it, shortly after. 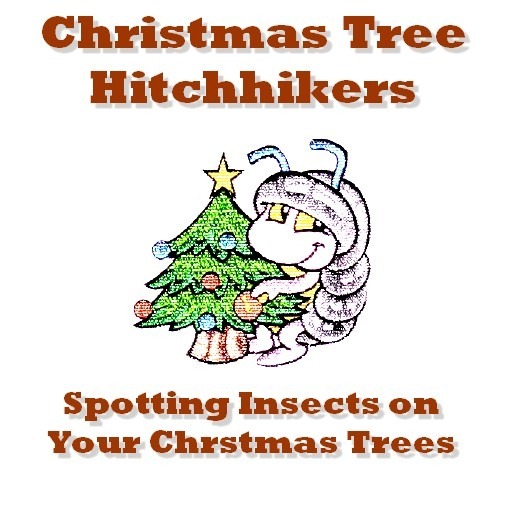 This tree has been known to drop ALL of its needles overnight, which creates quite a mess inside the home. The Scotch Pine has its upsides and downsides. Wearing gloves while decorating is a good idea, as its needles are sharp. It has stiff bright green needles about 1 and ½ inches long. Check to make sure there is room to hang ornaments. However it does have excellent needle retention and even if not watered correctly will hold onto its needles.